Led by the force of nature Florence Welch, Florence + The Machine broke through in 2009 with their wildly successful debut album Lungs. The record, which features the massive singles You’ve Got the Love and Dogs Days Are Over, peaked at No.1 on the Official UK Albums Chart and saw the group pick up the 2010 Brit Award for Album of the Year. Florence + The Machine are among the headliners for this year's Barclaycard Presents British Summer Time Hyde Park. The indie-rock band will take to the stage at the iconic central London park on Saturday 13 July 2019. 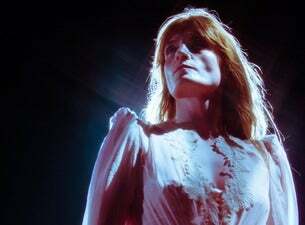 It will be the second time Florence + The Machine have headlined the festival, which is now in its seventh year.